Sit down with your Realtor and discuss the buying process in a "pre-purchase, buyer consultation". Discuss how you would like to partner and work together. Obtain referrals for lenders, inspection companies, title companies and the like. Set time frame goals and expectations. How much will the bank loan you, if you are using financing to purchase that is? How much home should you be searching for? How much money will you need in reserves? How much money will you need for an initial investment? How much money will you need for closing costs? How much money will you need for inspections, appraisals, surveys etc? Once you have all of these questions answered it is relatively easy to keep laser focused in your home search. Search homes for sale in your desired areas and in the price range for which you have been pre-approved. Click here to search available homes in Lakeland and Central Florida now. Eliminate homes that don't fit your needs. Review homes that look interesting to you and ask yourself, "if I were to see this home in person today, would I be inclined to submit an offer to purchase?" If the answer is, "no", don't bother looking at it any further. Select 3 to 5 homes that really fit your needs. Homes that are in the right areas. Homes that fit within your purchasing budget. Homes that have a interior and exterior designs and living spaces that fit your lifestyle needs. Request showings from your Realtor partner, like me! Contact me online today to request a showing. If you don't yet have a lender pre-approval please expect for your showing requests to be denied until you have one in place. Families don't want to clean their houses, get the kids out and arrange for their pets to be taken care of for a potential buyer who doesn't have financing secured, or proof of funds when paying cash. Please don't ask people to make all of these arrangements if you don't know your pre-approved loan amount, the cash you need to close etc. You, as the buyer, also have greater negotiating power when you show up to see a home and want to place an offer when the seller knows you can close on the sale soon. Don't waste your time looking at homes that, in the end, may be too expensive or may require too much cash to close. Many sellers require a pre-approval letter be sent to their agent when a showing is requested and to gain access to their home for sale. Many Realtors also require a pre-approval letter before arranging showings - there are so many buyers that Realtors really need to be spending their limited time with buyers who can purchase now. Alright, I think you get the point - a pre-approval is critical for a successful home purchase experience. Visit a few homes that best fit your needs. If you don't narrow down your search up front, viewing homes can get confusing, frustrating and stressful. 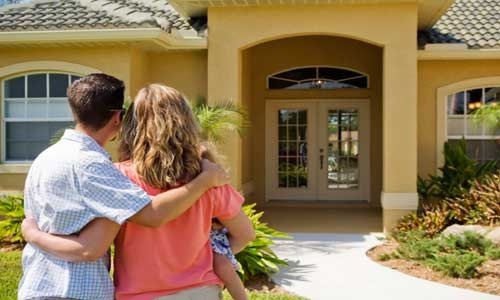 With the help of your Realtor, place an offer to purchase on a home that fits your parameters. When the contract is approved your Realtor partner will help you close on the contract. Obtain an inspection within the contract time periods. Obtain an appraisal and get final approval from the lender. Get the "clear to close" from your lender. Schedule the closing with the title company. Often when you are purchasing, and the seller is paying some of your closing expenses, the closing will occur at the title company of the seller's choosing. Sign the closing documents that legally transfer the property into your name and secure the financing to make the purchase. Get the keys and move in. Start enjoying a great new life! Call or text 863-640-2246 today to start the buying process and start enjoying a new life, or search homes online now, or contact us online with your questions. All the best - you can do it!